Rima Manufacturing Company is an American success story that began with entrepreneurial spirit, belief in family values, sound business principles, hard work, and a commitment to deliver quality products on time. Rima's promise of quality is a meaningful commitment. Rima specializes in high volume, precision turned products, with versatility in materials. 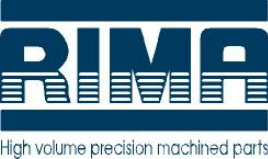 Precision products are delivered every time – from prototypes to high-volume production – ranking Rima high among precision-machined component manufacturers.